There may be a bunch of hair color trends every season, but there are only a select few that work on everyone. Which means normally you have to do some research before booking an appointment and jumping into the coloring process. That often involves analyzing your skin tone (even your eye color, according to some colorists) to ensure you’ll like the end result. While there are a few standard guidelines to follow, most of this is left up to you and your colorist to decide. There is, however, one specific hair color that seems to look universally incredible—which is probably why it's currently trending on Pinterest in such a big way. Celebs love it, too. In fact, Kylie Jenner, the queen of hair transformations, just took the leap yesterday, dyeing her hair the very same buzzy shade in question. Keep scrolling to see Pinterest's favorite hair color (and get a sneak peek at Jenner's brand-new 'do). The mystery hair color is ashy, icy blonde. This shade is on the cooler end of the hair color spectrum, with little to no golden tones involved, as demonstrated by Jenner, who just unveiled the new color on Snapchat. Although there's no update on what her new 'do looks like when it's styled, we can see she's rocking an ash-gray (almost silver) bob. If you look closely, you can see her natural dark roots peeking through. That's the key to this look—contrasting ashy blonde lengths with dark brown roots. Ashy blonde hair can range from a cool bronde color all the way to bright platinum, as demonstrated here by Rita Ora. As for the preferred style for ashy blonde hair, Pinterest searches for elevated ponytails are up 110% year over year. And speaking of elevated ponytails, scrunchie hairstyles are up 601%. To us, that's clear proof that scrunchies won't be going out of style anytime soon. In fact, '90s styles, in general, won't be going out of style anytime soon, and we're not mad about that. Ashley Benson shows us why Pinterest searches for ashy blonde hair with dark roots are up 216%. The stark contrast between dark roots and ashy blonde hair gives it a lived-in look perfect for all the cool girls out there. It's also perfect for anyone who loves the tousled, textured style. Just look at those "I just came from the beach" waves. Kim Kardashian West is perhaps the most memorable ash-blonde celebrity recently. As you can see, her dark roots give way to cool-tone hair that's so bright and so icy it almost looks gray. It really pops against her warm skin tone. If you have naturally dark hair, this is good news, because it means you can push back your salon appointments. Unlike other hair trends, your roots are supposed to show. It's not about having a perfect monochrome color; it's about having a stark cool-girl contrast. One of the most surprising celeb hair transformations was Selena Gomez's platinum-blonde leap. Throughout it all, she kept her dark roots shining through the top of her hair. It looked so modern and fresh. Cara Delevingne has been rocking this trend for a while now. She proves platinum hair doesn't have to be long. In fact, it looks amazing with a pixie cut. Her dark roots are barely there; they're ever-so-slightly peeking through her short strands. Sofia Richie's blonde hair is a mix between ash and golden. Here, you can see her dark roots growing in, which match the chestnut color of her brows. Cynthia Erivo's natural texture is accentuated by the contrast between her dark base and her icy blonde curls. Her hair, paired with her berry lip and plum eye shadow, is giving us major holiday vibes. Does anyone else have the sudden urge to dye their hair before winter hits? Who better to follow than fashion's number one It girl since the '90s? Kate Moss has been taking part in this trend for years. Her color combination and tousled texture give her an edgy rock 'n' roll look. If you're dying to partake in this trend, but you're a little hesitant to go full white-gray, we suggest taking a cue from Ciara. The singer's dark roots grow out into ash-blonde lengths in a more approachable way. Keep scrolling to see a few of our favorite hair products for both styling and maintaining Pinterest's favorite hair color. To keep a ponytail look elevated and sleek, try working a styling paste through the mid-lengths of your hair before styling it. 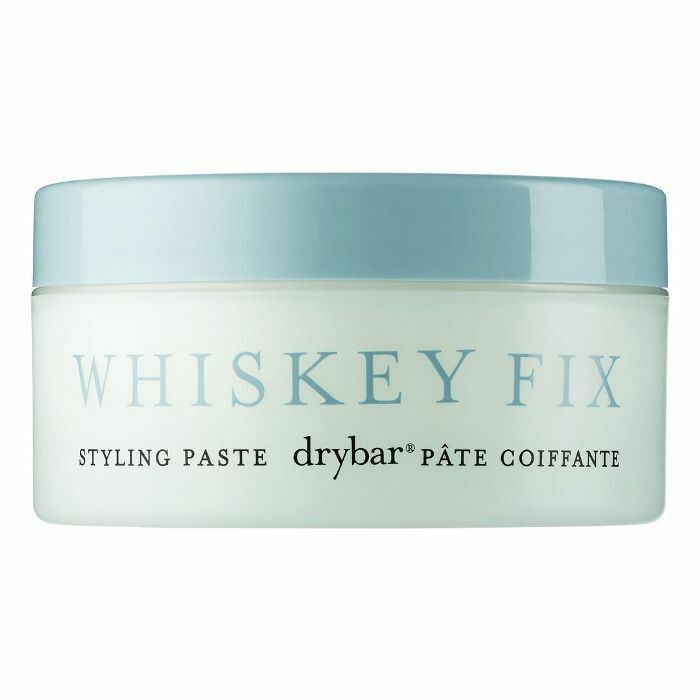 This one from DryBar provides texture, definition, and medium hold. It has blue agave nectar to build strength and resiliency. Silk scrunchies keep ridges from forming in the hair. They even prevent tangles and breakage, thanks to a smooth texture and wide surface area. On top of that, they're also infinitely chic whether they're being worn in your hair or on your wrist. Using a purple shampoo will remove any brassy tones that build up on blonde hair. 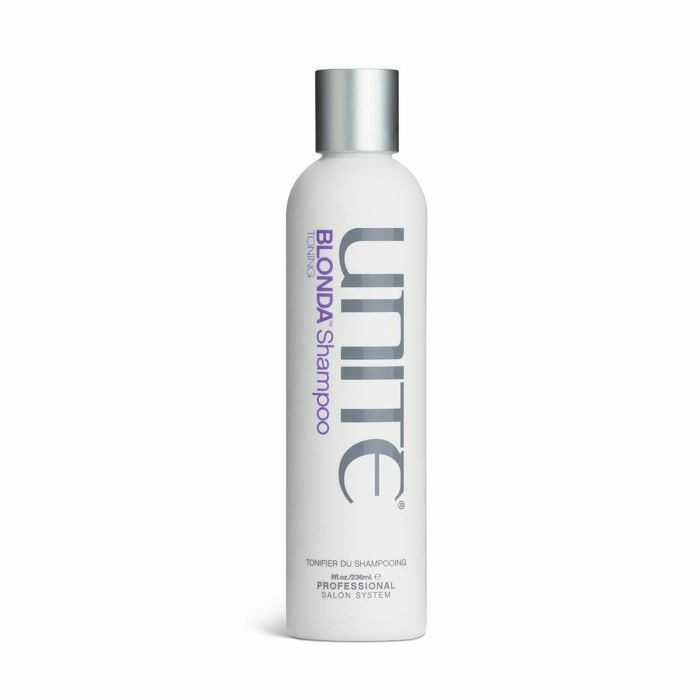 This one from Unite is one of our current favorites, since it makes a visible difference in the color of our hair without stripping it of all its moisture. The bleaching process does have a drying effect, so make sure to treat your blonde hair at home with a damage-erasing mask. 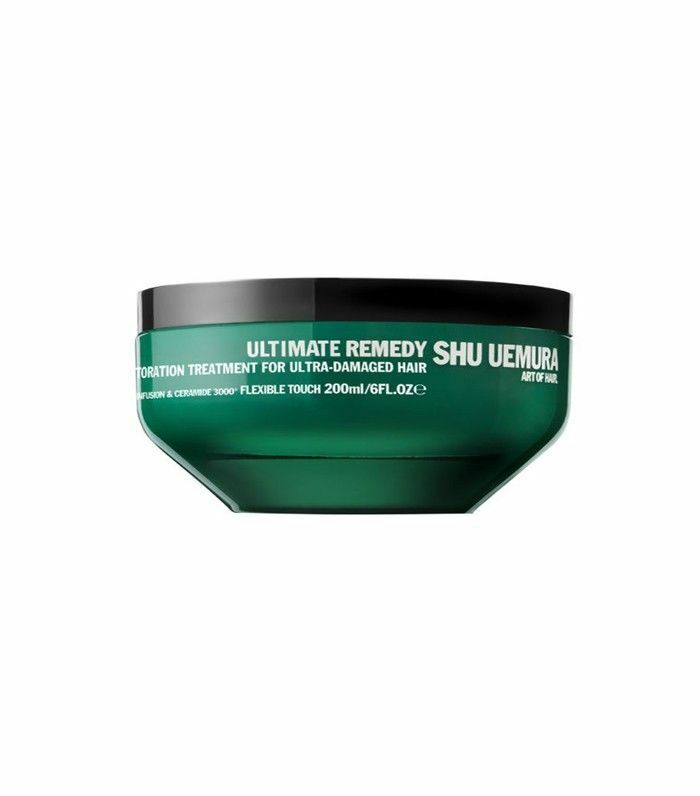 This reparative treatment heals hair from the inside out. 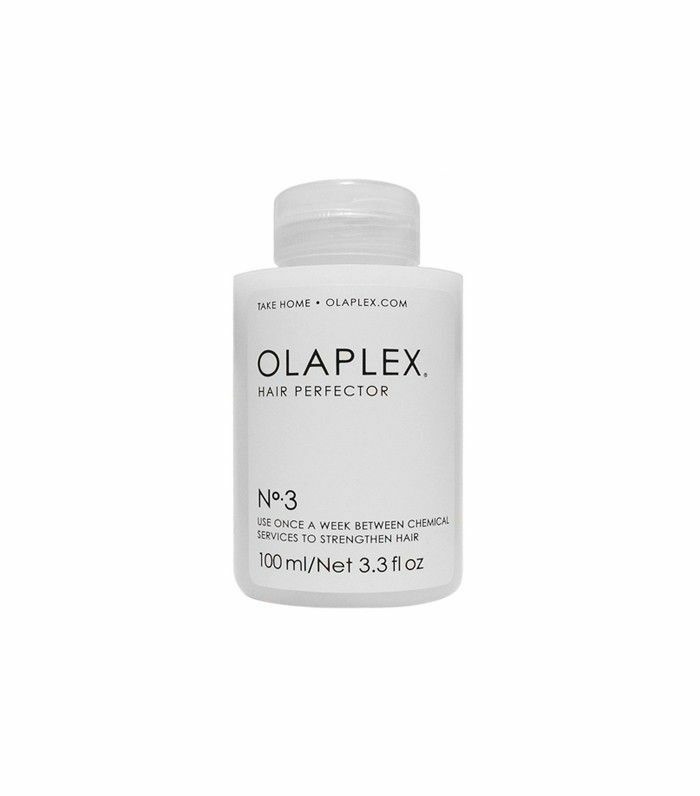 We like to leave Olaplex Hair Perfector in for 10 to 15 minutes before rinsing it out in the shower. It actually strengthens each strand of hair to prevent split ends from forming. Now that you're up-to-date on fall and winter's trendiest hair color, read up on the major hair transformation Kiernan Shipka had to undergo in order to play Sabrina Spellman.